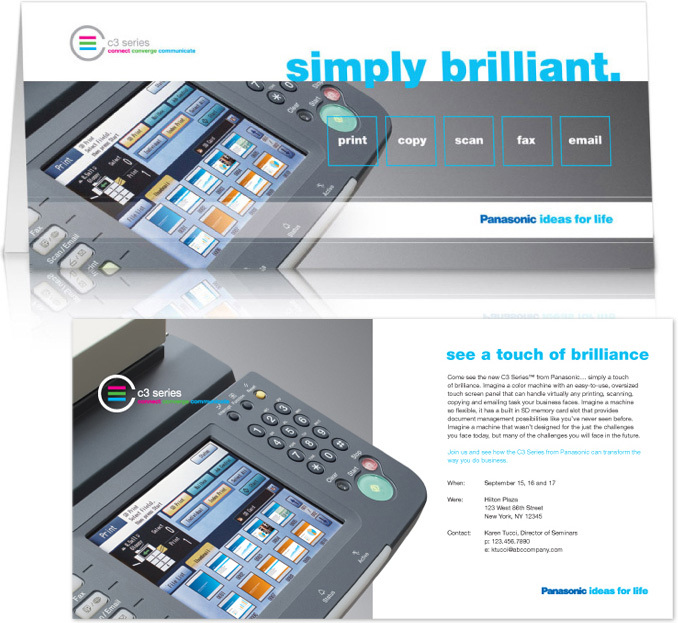 Introduce Panasonic’s new line of products with a campaign as innovative as their technology – in just ten short weeks. 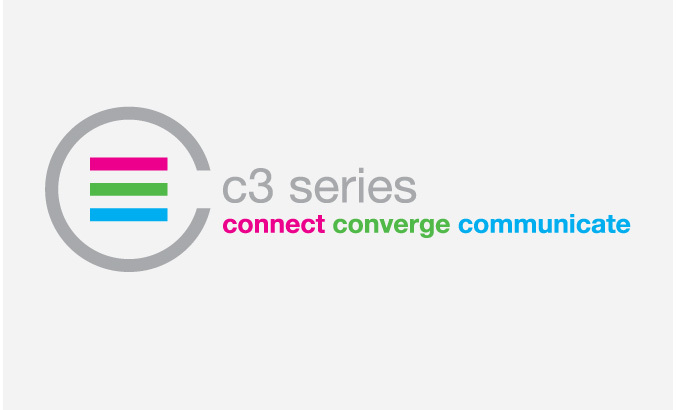 To differentiate this line from industry competition, we conceptualized the “C3 Series.” Once designed, the series provided Panasonic with a bold identity and positioning that spoke to their product’s main attributes: connect, converge and communicate. 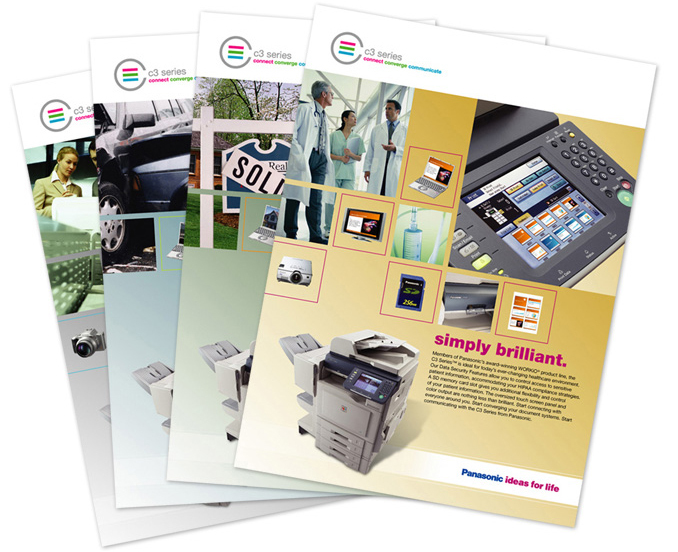 We also developed the “Simply Brilliant” campaign, with messaging that supported the brand promise and visuals that conveyed the user experience. 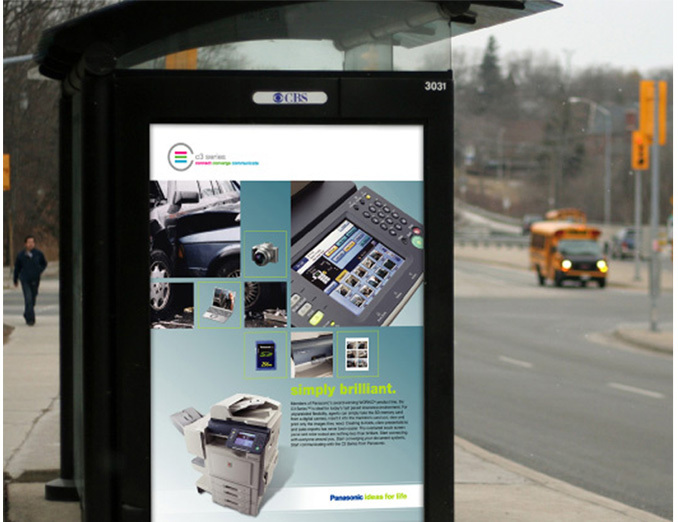 Brand identity, positioning, advertising, design, copy, collateral materials, direct mail, multimedia and website development.